Based off the book of the same name, Silver Linings Playbook is my all time favorite movie, and one of the few movies that has ever hit me on a deep and emotional level. Silver Linings stars Bradley Cooper and Jennifer Lawrence, both agreed to do this for very little money because they loved it so much! Silver linings follows Pat (Bradley Cooper), and Tiffany (Jennifer Lawrence). Both have multiple severe mental illnesses, and are at a constant struggle every single day. Pat, after having a break down from his wife cheating on him, went to a psych ward. 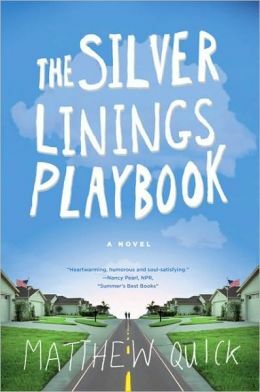 The movie starts as soon as he is released, having a new outlook on life and a Two goals; To get his wife back, and find a silver lining to everything. That’s where Tiffany comes in! Tiffany recently lost her husband in a car accident that she blames her self for, and than lost her job for “sleeping with everyone in the office”. Tiffany agrees to send letters from Pat to his Ex, if he helps her win a dance competition. To me, this movie is simply brilliant. It takes mental illnesses and people who have suffered tragedies, turning it into a very real and beautiful love story with characters most films are afraid to use. I understand there are a few scenes that make people uncomfortable, but those are all very real and because of that, uncomfortable. Silver linings also features big names, that really add to the movie, including Robert De Niro and Chris Tucker. De Niro takes a role you wouldn’t expect him to ever play and nails it, escalating the movie even more. Tucker has a small role, but brings life to the few scenes he is in. In the end Silver Linings, though unconventional and difficult to watch at times, is a very real and beautiful movie. I highly recommend it.